Mr Ayyadurai, like me and so many other former Democrats, has stated he grew disgusted with the Democrats as long ago as 1984 when he saw them as betrayers of the people. When he was at MIT he even started a student newspaper dedicated to exposing the corruption and failures of BOTH Democrat and Republican office-holders! Obviously he’s Balladeer’s Blog’s kind of thinker. And just as obviously the emotional cripples who pretend to be college students in America now would have made his newspaper refrain from criticizing any Democrats. “I saw Trump as a necessary force to disrupt a broken system that was no longer serving the American people,” ... “I’ve always had a deep distaste, since 1984, for both Republicans and Democrats.” He said he’d initially shown some interest in the Democratic Party, but he broke from them that year, after Jesse Jackson, like Bernie Sanders, sold out the populist movement. “Trump never sold out his movement,” he said. 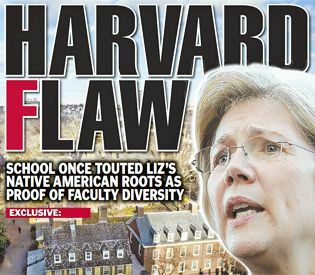 American academia is noted for the decades-old scam of claiming kinship with a Native American tribe to present yourself as a “minority” and improve your chances of getting hired (and later promoted, of course) by an uppercrust whitebread institution anxious to add another minority notch to their quota belt. The fact that they can do it without hiring an ACTUAL minority member is probably one of the fringe benefits to the pompous, spoiled fools of Ivory Towerland in the United States.